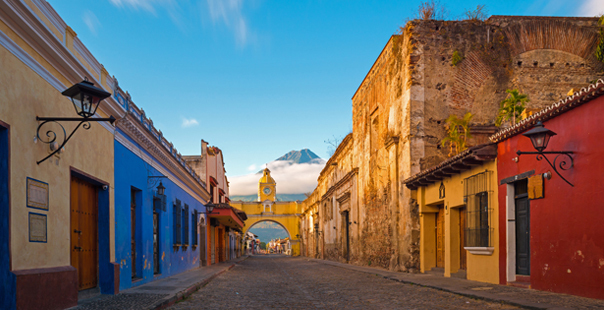 “Unparalleled Guatemala” is part of GA’s Guatemala luxury vacations. This program has been expertly designed for travelers who are looking for the best of the best in each destination. This tour not only includes the premium destinations in Guatemala but also includes the best hotels. 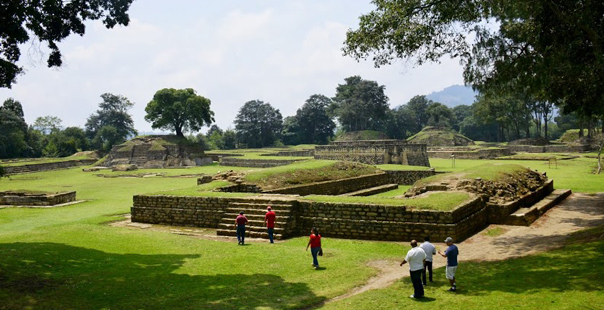 Whether you are looking to get some rest and pleasure, you will also learn about Guatemala’s culture and archeology, considered one of the richest of the world. While taking this trip, you’ll receive a first class service to enjoy your experiences to the most in Guatemala. Enjoy a Spa session at one of the most famous hotels in Latin America. Admire the magnificent view from the sunset while being relaxed in the Jacuzzi. Visit to the most important and significant attractions of the city including Antigua’s most beautiful churches, monasteries, convents, and the cultural center. This city is among the world’s best conserved colonial cities, it is a magical and captivating small city that will make you feel time stopped some 300 years ago. From its colonial architecture to its beautiful surroundings; strolling through town on the cobbled streets, you will experience the splendors of ancient times. For lunch we have prepared a really nice lunch in one of the best restaurants of the country. In the afternoon visit San Antonio Aguascalientes where you will be able to experience the exceptional weavings and fabric your own souvenir. A local will teach you their ancient techniques. Overnight accommodations in Antigua Guatemala. Visit to the archaeological site of Iximché, also known as “The Land of Corn”. This city was the first capital of Guatemala and the last Mayan City. Experience for yourself a place fulfilled with mysticism, being the city that witnessed the conquer of the Spanish and a place for Mayan rituals. After the visit you’ll be transferred to Chichicastenango’s market, the most colorful and exciting place in the Mayan Highlands and the only place in Guatemala of 100% Quiche population. Admire the historical and mystic Church of Santo Tomás, where the Mayan bible was discovered. Be the witness of Mayan ceremonies inside the church, where you can presence their gifts to the Mayan God’s. Transfer to Panjachel for overnight accommodations. 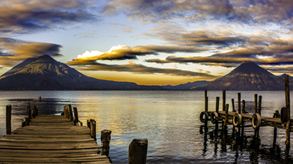 Visit to Lake Atitlán, one of the most beautiful lakes in the world. 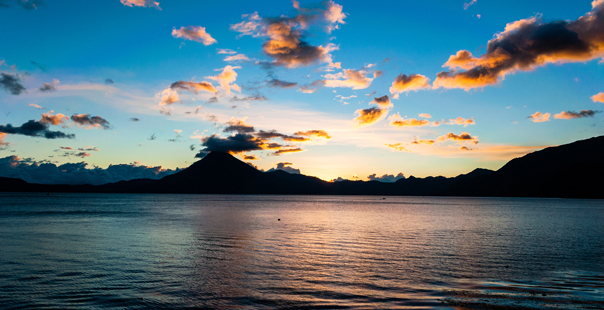 The word “Atitlán” is a Mayan word that translates as “the place where the rainbow gets its colors”. Panajachel is an 800 year old town of about 14000 people, mostly Kaqchikel Mayas and some foreigners from every corner of the globe, living inside that rainbow. Upon arrival discover the magic that surrounds all its greatness while taking a boat to cross the lake and visit a Tzutuhil Village. 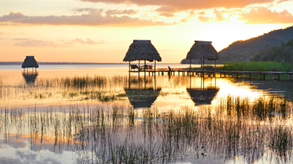 This place is known for being one of the most authentic and best kept secrets in Guatemala. The visit will begin with a Cultural tour visiting the different workshops where you discover how a women’s weaving cooperative continues the traditional methods of dying thread with native plants. Observe the process of extracting natural dyes used to create extraordinary textile products. The experience will continue with an explanation of the murals, visit to the church and local houses. Time to have lunch in one of the most exquisite restaurants with a magnificent view. Transfer back to Panajachel by boat to have lunch and visit the most important places. Early in the morning we take a flight to Flores, Petén. Upon arrival transfer to one of the most important archaeological sites of the Mayan World, Tikal, its name means “Place of Voices”, built during the Maya Classic Period. There are places on this earth that are so stunning that it is impossible to capture them in words or photographs. Tikal is such a place and is considered the second largest city in the Maya world. Tikal has the distinction of being the first site in Guatemala declared as a World Heritage Site by UNESCO. 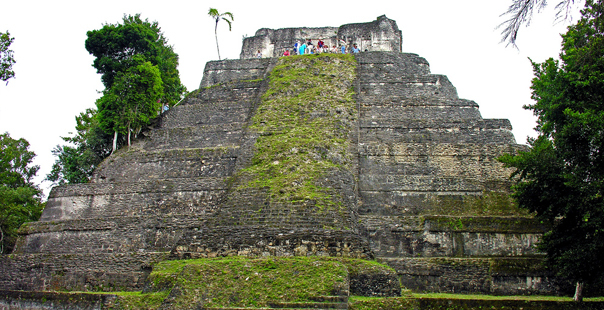 Upon arrival at Tikal archaeological site, our guide will show you the layout of the complex of Temples and Acropolis. Visit to the Complex Q and R, then to the Central Acropolis, Temples I “El Gran Jaguar and the Temple II” Los Mascarones “, regarded as the first and one of the most important monuments in the complex. Visit to the Lost World. Transfer back to Flores or Tikal for overnight accommodations. Visit to the most important and significant attractions of the city including Antigua’s most beautiful churches, monasteries, convents, and the cultural center. In the afternoon visit a coffee plantation for a mule ride and experience the entire coffee process considered one of the best in the world in quality and flavor. Overnight accommodations in Antigua Guatemala. Visit to the most active volcano in Guatemala, its 2500 mts. above the sea; the environment is formed by humid forest and rocks. 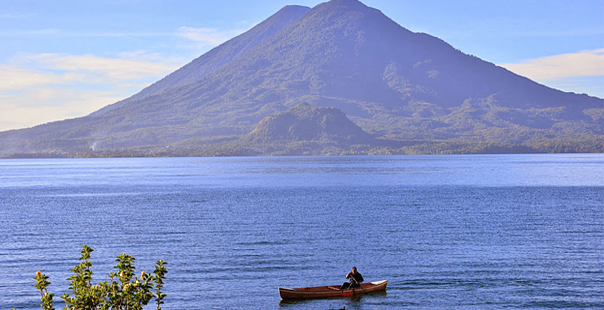 This is one of the most exciting experiences in Guatemala, where you will enjoy from impressive views of the lagoon of Calderas and other three volcanoes: Agua, Fuego and Acatenango, and landscapes as if you were on the moon. It is readily accessible and you don’t need to be in good shape to climb it, however you need to wear good hiking boots and wear long pants. Early in the morning around 8 a.m. transfer to Pacaya Volcano for a 5 hours visit. Free afternoon in Antigua. Transfer to Chichicastenango’s market, the most colorful and exciting place in the Mayan Highlands and the only place in Guatemala of 100% Quiché population. Admire the historical and mystic Church of Santo Tomás, where the Mayan bible was discovered. Be the witness of Mayan ceremonies inside the church, where you can presence their gifts to the Mayan God’s. Transfer to Panajachel for overnight accommodations. Transfer to Monterrico Beach. You will visit Auto Safari Chapín, the first zoo in Central America where you can drive through in your car. Your car windows and doors are the only things that separate you from the animals. Free morning to enjoy the black sand Beach at Monterrico. Transfer to Guatemala City. Transfer from Guatemala City to Río Dulce. Visit to Finca Paraíso. On the riverside of the waters that divide Río Dulce and Lake Izabal is the Castle of San Felipe, which was built and rebuilt several times in the early sixteenth century because of the constant incursions of pirates by the Río Dulce. Time for your own in Rio Dulce. Time to enjoy a boat trip from Río Dulce to Livingston, which is a river running from Lake Izabal, in the eastern part of Guatemala, to the Carribean. On the way visit to the Isle of Birds and the Ak-Tenamit Project, that is a Kekchi origin population. Then the excitement continues with a half an hour stop in the area of hot waters, near the entrance of the canyon of Rio Dulce. At the end of the journey the river mouth will reach the Caribbean Sea “La Buga” Livingston, a population of African origin that was originally called La Buga which means La Boca. Livingston is a fun and interesting Carribean town that is populated by the Garifuna people of African origin with a laid-back Carribean attitude, their own language (though they tend to speak Spanish and English as well), and a style of dancing known as “Punta” that requires the hips to move faster than lightening. Transfer to Tikal or Flores for overnight accommodations. Transfer to one of the most important archaeological sites of the Mayan World, Tikal, its name means “Place of Voices”, built during the Maya Classic Period. There are places on this earth that are so stunning that it is impossible to capture them in words or photographs. Tikal is such a place and is considered the second largest city in the Maya world. Tikal has the distinction of being the first site in Guatemala declared as a World Heritage Site by UNESCO. 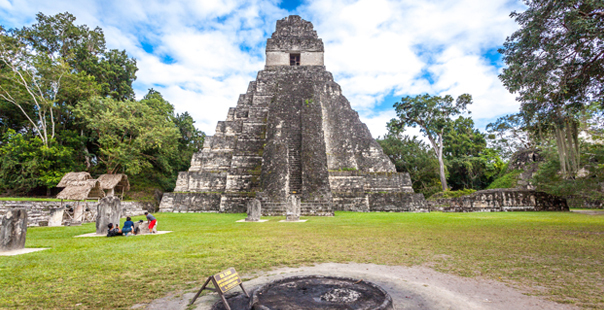 Upon arrival at Tikal archaeological site, our guide will show you the layout of the complex of Temples and Acropolis. Visit to the Complex Q and R, then to the Central Acropolis, Temples I “El Gran Jaguar and the Temple II” Los Mascarones “, regarded as the first and one of the most important monuments in the complex. Visit to the Lost World. Transfer back to Flores or Tikal for overnight accommodations. Visit to Ixpanpajul Park where the adventure will begin with a walk through six amazing suspension bridges where you will see the wonderful local flora and fauna. You´ll choose to ride a horse, a tractor or bike to go around a pathway that surrounds a fruit plantation and the jungle. Then you´ll begin the Canopy tour through nine platforms and a crossed cables system and you´ll have the chance to see different wild animals in their natural habitat. At proper time transfer to the airport to take flight back to Guatemala City. Overnight accommodations in Guatemala City. Transfer to the airport to take flight back. **Prices may vary depending on selected hotels. Please call us at: +502- 2410-8260 and provide us the following reference name:" Luxury Tour Guatemala ", or you can fill out the form below and we’ll get back to you whithin 24 hours.